Treat yourself to an evening of Caribbean cuisine and top-shelf rum cocktails in support of Team Breckenridge Sports Club on Sunday at Blue River Bistro, featuring four courses of island delights paired with refreshing light and dark rum drinks to usher in the spring season. Blue River Bistro executive chef Brandon Farr created the menu for Team Breck’s spring fundraiser. “We did a whiskey pairing last year, so I figured we stick with the liquor theme,” he said. “It’s springtime, so I figured we’d do rum. With the rum choices, we went through and picked a variety that had a decent palate across the board, a couple of whites and a couple of darks. I looked at regional cuisine for the areas of the world that I was pairing and matched them up.”Aside from the decadent food and exotic drinks, the event also includes a silent auction, with items ranging from dining certificates, ski and snowboard gear and an Epic Pass to lodging in Denver, Aspen and Breckenridge and a cabin on a five-star river cruise in Vietnam. All of the proceeds from the event will benefit Team Breck’s youth programs, which include alpine ski racing, freeride and snowboarding.”It’s important because, like most nonprofits, we need to have money to do the things for the kids and the programs that are the best for their development,” said Lisa Korry Cheek, mother of two athletes on Team Breck. “We do many fundraisers throughout the year, which go to scholarships, coaching staff, on-hill training time, equipment – all of those things to help develop our kids.”Korry Cheek’s two children have been skiing on Team Breck for the last two years.”I feel like it has developed them into safe skiers, in addition to generally improving their skiing,” she said. 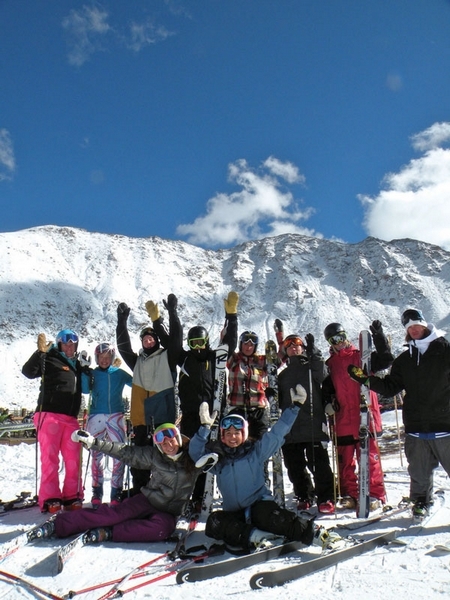 “They are great skiers at ages 8 and 10. They are developing a life-long love of the sport, and they are developing the skills to ski safely in all situations.”Being a part of Team Breck gives Korry Cheek’s kids a sense of community. She said it’s fun for them to be a part of team while also competing individually.”There’s also a sense of pride they have of being a part of our local ski club,” she said. “And our ski team has developed some of the top skiers in the country over time.”Korry Cheek said the spring fundraiser is a fun community event on a night of the week that there typically isn’t much going on. She’s excited that County Commissioner Dan Gibbs will be speaking at the event to support Team Breck, which impacts so many kids in the county.”As a community ski club, we hope to represent the love of skiing and skiing in Breckenridge,” she said.